I went to Chemnitzer LinuxTage last weekend. That was a successful open source event. openSUSE has got a lot of positive feedback. 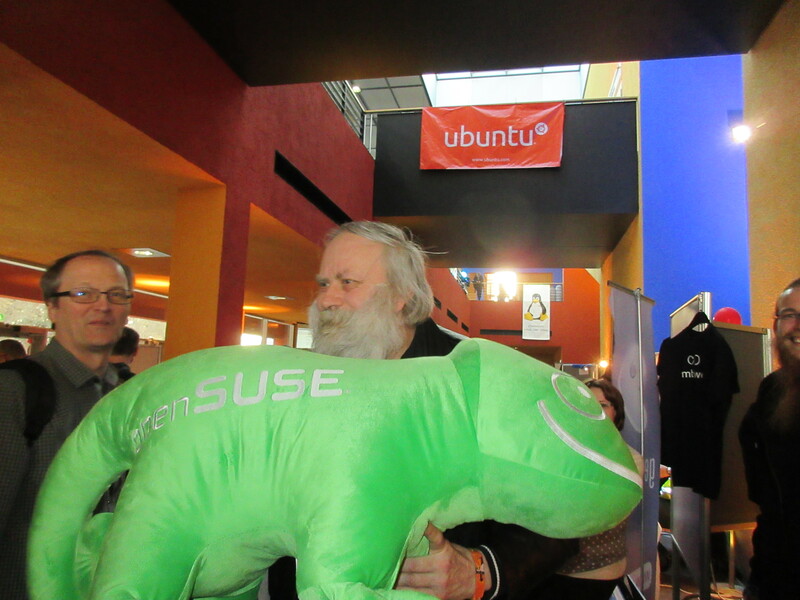 Some people changed from Ubuntu to openSUSE Tumbleweed and are happy. invis server had his meeting about their new project openSUSE SMB. One openSUSE customer was interested for this project and I brought him to Stefan. Some booth visitors want to visit our next oSC in Nuremberg. We had more customers than in the year before. Somtimes guys asked how to change to us and to contribute. Linux beginners wanted to have live CDs. We burned flash drives with Tumbleweed live images for them. They produce server hardware and storage. Their first award was a low energy server which I won. That‘ s ideal for students like me. The best thing is that this server hardware is supported by openSUSE. Chemnitzer LinuxTage was a fantasic open source event like every year. Thanks for the sponsoring!